If there’s something London isn't short of it's fantastic live music venues for you to spend an evening listening to some awesome tunes. From wild Saturday nights out dancing to chilled Sunday afternoon sessions, seeing your favourite musicians up close and personal is always an enjoyable experience. 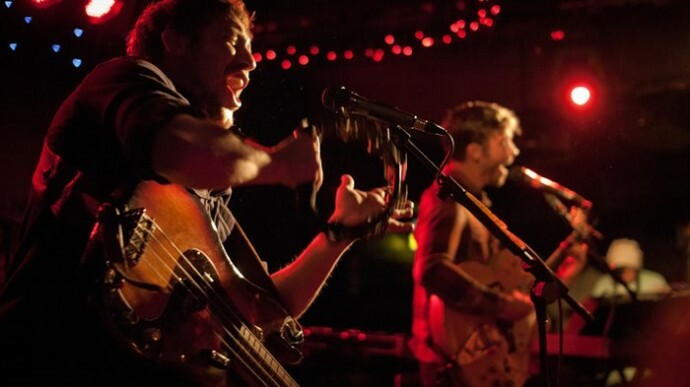 These are some of our favourite live music venues where you are guaranteed some great entertainment. They’re not the big music arenas like the O2 or the SSE Arena – these are local joints that offer a more personal experience and where you might have a chance of getting yourself close to the stage. Coldplay and Franz Ferdinand performed here in their early years, along with many other bands that have moved on to bigger stages. Barfly has a reputation as being one of the best venues for showcasing up and coming talent and offers live music every night of the week. The night doesn’t end after the band finishes – the party continues with DJ sets getting the crowd dancing into the early hours. If walls could speak, the bricks of this pub would have some impressive stories. The Half Moon has been the venue for gigs performed by some of the greatest bands in music history including the Rolling Stones, Elvis Costello and the debut performance of Kate Bush. Today the line up features a brilliant mix of well known names and up and coming talent. If you love rock and roll, then get yourself to the Dublin Castle, a relaxed pub in Camden that prides itself on delivering the best performances to its stage. 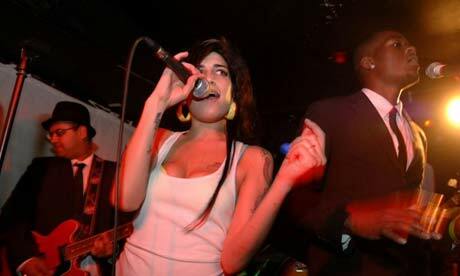 Blur, The Killers and Coldplay (yes, them again) have all performed here and Amy Winehouse hit the stage in the annual Camden Crawl. Even when the music isn’t being performed live, there’s an awesome juke box that will get you hitting the dance floor any night of the week. 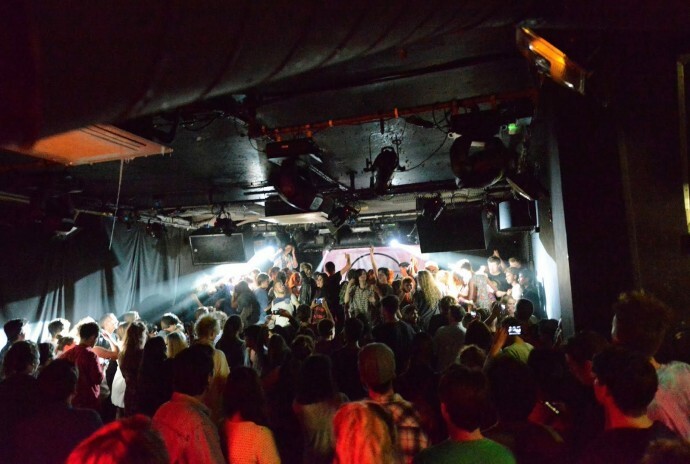 It isn’t surprising that Koko is one of London’s most loved music venues. Originally build as Camden Theatre in 1900, the historic building has been restored preserving its architectural beauty and it's a glorious location to come and see your favourite performers. Prince, Katy Perry, Oasis and the always amazing Madonna have performed here and many more big names are due to hit the stage this year. Throughout its history, Bush Hall has had millions of pairs of feet dancing across its floors. In the 1920s it was a dance hall, before being used for various other uses including a soup kitchen and a bingo hall. In 2001 it was restored to its original purpose and every night people flock here to listen to fantastic music and to dance the night away. 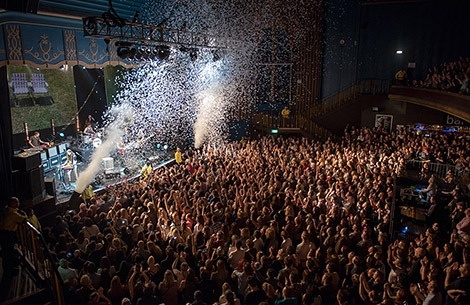 Lily Allen, James Morrison and the Sugababes have performed here, and shows range from live acoustic sets to cabaret performances. 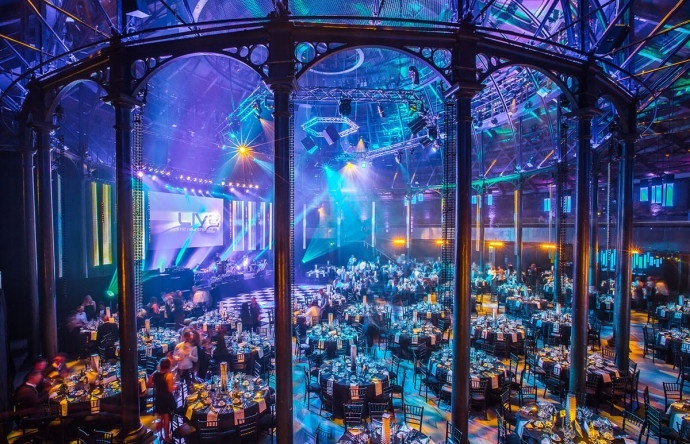 Roundhouse in Camden is a cultural hub that offers more than just live music. Cabaret, theatre, comedy and community arts development, there’s a lot happening at this venue. It's a wonderful place to come and see your favourite performers – big enough to ensure a high quality performance but small enough to see the stage. There’s an eclectic mix of genres on show – hip hop, pop, electronic and acoustic all get a turn on the Roundhouse stage. 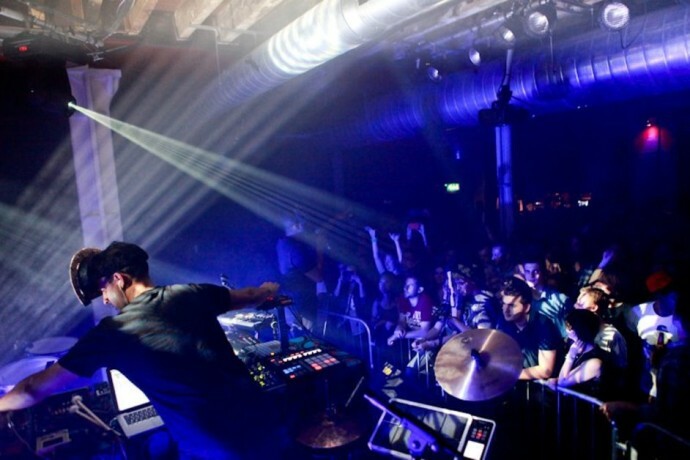 Located near King’s Cross, Scala is a multi-purpose venue with a multi-genre vibe. It has two dance floors and a large stage area that get used for a wide range of musical performances. From acoustic to garage, 80s dance to house, there’s always something a little bit different on at this popular club. It would be impossible to write about live music venues in London without mentioning the Barbican music hall. 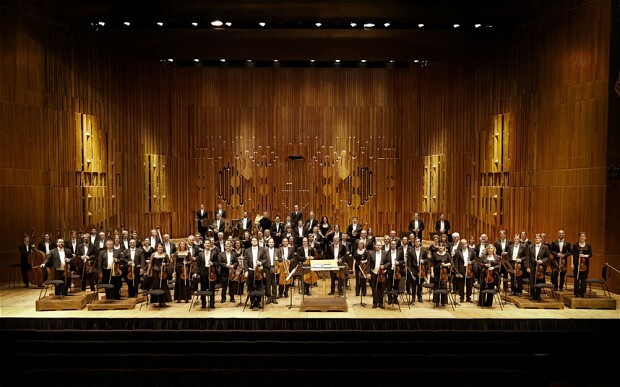 Home of the London Symphony Orchestra the Barbican event calendar is also bursting with some of the greatest musical talent in jazz, electronic and rock. Part performance space, part church, part homeless shelter, the Union Chapel is certainly a multi-purpose venue. The acoustics in this gothic Victorian chapel are fantastic and the atmospheric décor of the building add something truly special to every show. 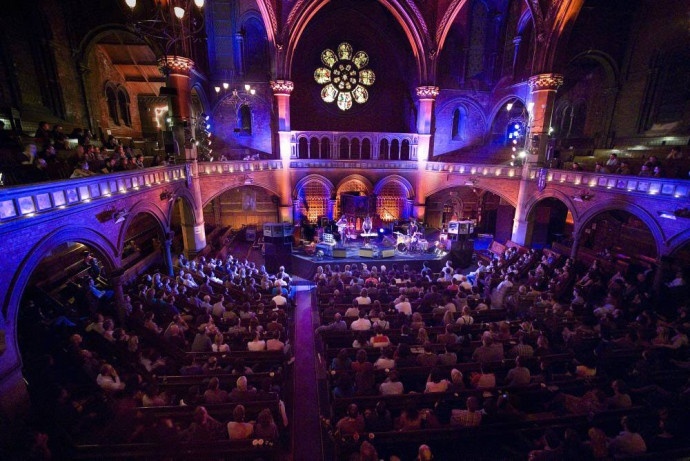 There are often charity events held at Union Chapel with proceeds going to a worthy cause. Now for something a bit louder, darker and growlier ­– Underworld is found in the depths of The World’s End pub in Camden and is the place to come if headbanging is your thing. Alternative music is the theme at this venue with ska, punk and heavy metal performed almost every night. 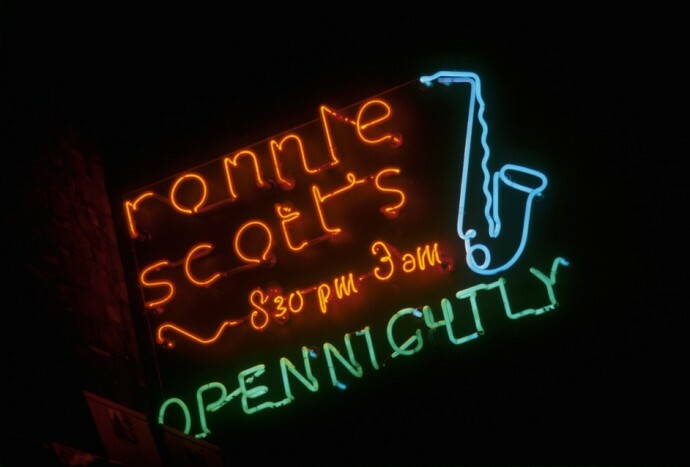 Established in 1959 by jazz great Ronnie Scott, this jazz club oozes style, sophistication and a whole lot of cool. Sit and sip your drink while nodding along to some of the best names in soul, blues and jazz. Located in central Soho, this is a great place to come for a chilled Saturday night out. Let’s add some class to this list with the beautiful art decor venue of Wigmore Hall. With over 450 concerts per year, come here to listen to some of the world’s top chamber music. Every Monday lunchtime the recitals are broadcast live on BBC Radio 3 and you can take a tour of the wonderful building during the Open House London event most years. Many of the concerts are great value, bringing chamber music to the masses. With a capacity of just over 2000, the Forum is big enough for some impressive names to take to the stage, but small enough for you to get close enough to watch. The likes of Rihanna and JT have performed here and there are occasional club nights that really draw a crowd. Situated on bustling Oxford Street, 100 Club has been in operation since 1942. For a while there it was headed towards possible closure but thanks to sponsorship from Converse it is back in action. You’re guaranteed a good night at 100 Club with jazz and R‘n’B being the main style for the venue. They push to showcase some of the exciting new names in music so come here if you want to be the first to hear the next big thing. Now something for the clubbers ­– this basement club showcases some of the biggest names in dance with parties every Saturday night hosted by some of London’s top club promoters. XOYO has resident DJs who perform sets every Saturday for 12 weeks, plus international guests are invited in to keep party pumping. What have we missed?! We know we've skipped a few! Do you know a 'down an alley way, knock three times on the white door to enter' venue that we should include in our next post? Let us know, party people.